We’re saying goodbye to the 1980s, and I’m bringing in the big gun – my brother, Cory. Our players faced a tough board tonight, but handled it well for the most part. It’s anyone’s game heading into Final. Here’s what each player should do. Bob should wager 12,001 to lock out Tom. Tom should wager 3,801 to lock out Jerome. He can wager up to 4,599 to stay above a zero wager by Jerome. 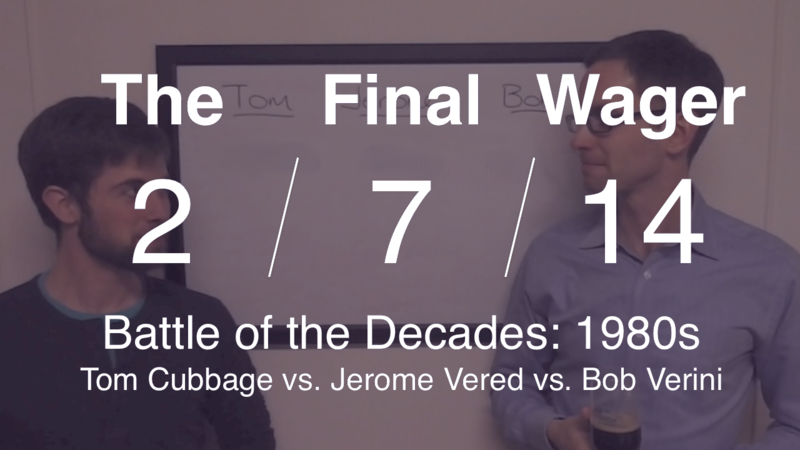 Jerome needs to wager at least 800 to cover an incorrect response by Tom, but no more than 6,400 so as not to fall below Bob if they’re both wrong. Triple green! Nice game and nice wagering, gentlemen – I’m sad only one could advance. There are a few alternative wagers here. 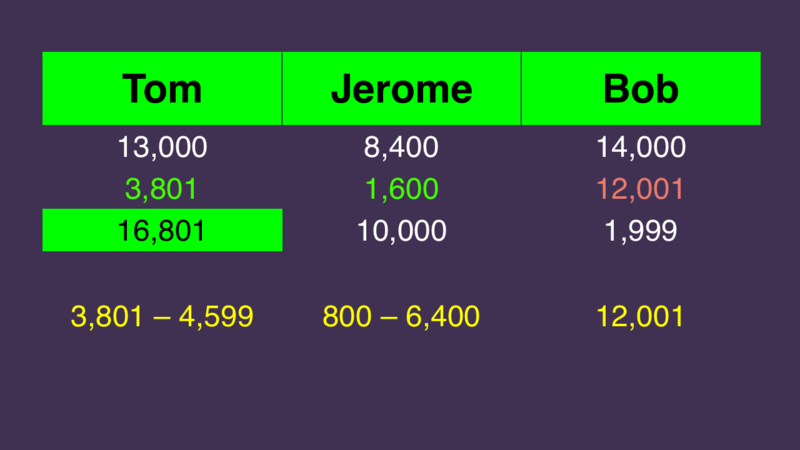 Bob could wager 3,600 to cover Tom’s “smaller” range, and as a result, Jerome should wager at least 2,001. Given the old-school nature of these players, though, these options never really crossed my mind. Correct response: Who are Dmitry Medvedev & Vladimir Putin?